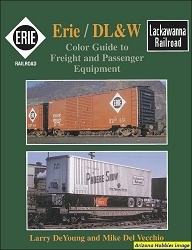 This book features many of Bob Krone's early photographs of the Erie, Delaware Lackawanna & Western and Erie Lackawanna in New Jersey and New York. 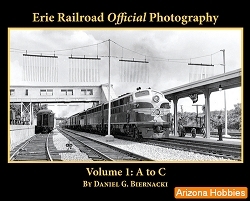 Beginning in 1955, the photographs show first-generation diesels at their best. 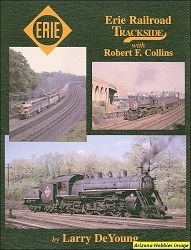 Trackside shots of steam and diesel by the late Robert F. Collins from 1949 through 1976 are also included to complete the tour from the Hudson River to western New York State. 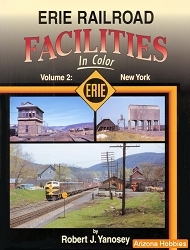 Morning Sun Books, hardcover with jacket, 128 pages, 11 x 8.5 x .5 in., Color photographs with captions.